The air corridor presently consists of a 5-mile circle around Griffiss International Airport located in Rome, New York, but will be expanded during 2018 with $30,000,000 in state funding. Eventually, the air corridor will include 50-miles of air space and will stretch from Rome to Syracuse. The air corridor is made possible through the use of small ground-based sensors and radars developed expressly for the purpose of detecting and tracking small drones operating at low altitudes. This sensor technology permits air traffic managers to monitor the aircraft within the corridor in order to keep the craft at safe distances from each other. This technology provides air traffic control with capabilities that traditional radar systems at airports simply do not possess. With the creation of the air corridor, New York State is working with its commercial partners in the industry to make Central New York and the Mohawk Valley a magnet for the growing use of unmanned aerial vehicles, or UAVs, for commercial applications. The corridor is expected to help make Central New York a base for manufacturing, research, development and testing for the UAV industry. “If you are interested in this industry, this is the place to be,” said Gov. 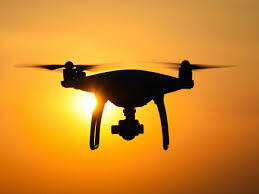 Andrew Cuomo, whose administration has pledged up to $250 million in state funding under his Upstate Revitalization Initiative to build the corridor and promote the growth of the UAV industry in the region. Construction of the full network of sensors and radars is expected to start by the third quarter of 2018. Craig H. Handler, Esq. is an experienced attorney focusing his practice primarily on complex commercial, construction, real estate and insurance issues. Mr. Handler is also an experienced drone pilot, and enjoys using his DJI Phantom 4 Pro and DJI Mavic to capture photos and video on the east end of Long Island.